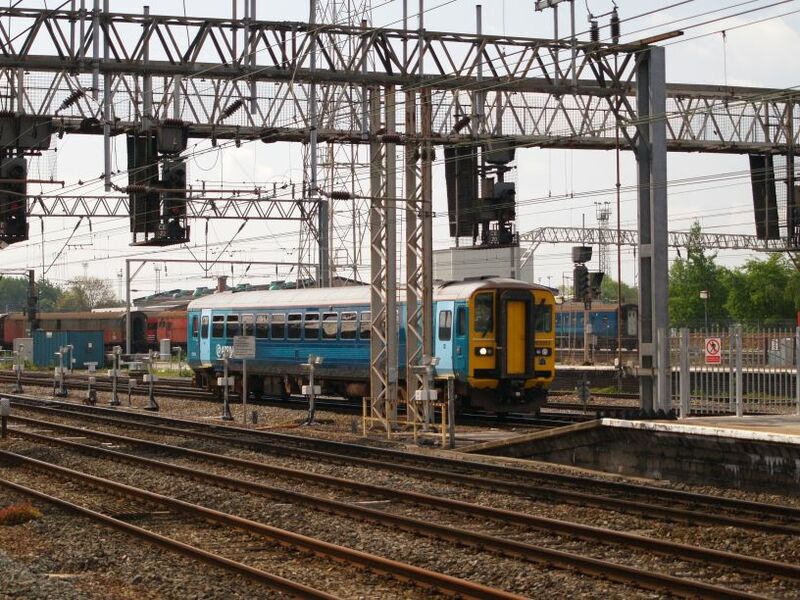 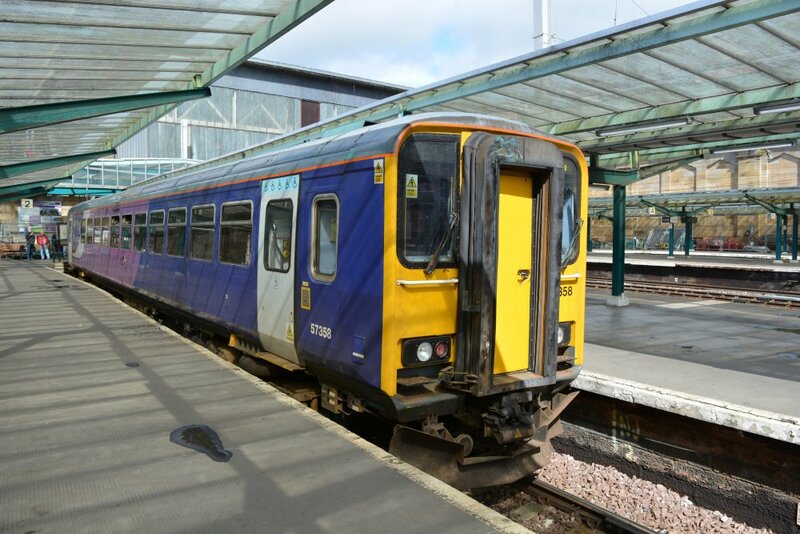 Leyland Bus Diesel Multiple units, often run as a single car DMU, Class 153 DMU cars were built 1987-1988 at Workington and converted by Leyland Bus from Class 155 2-car units. 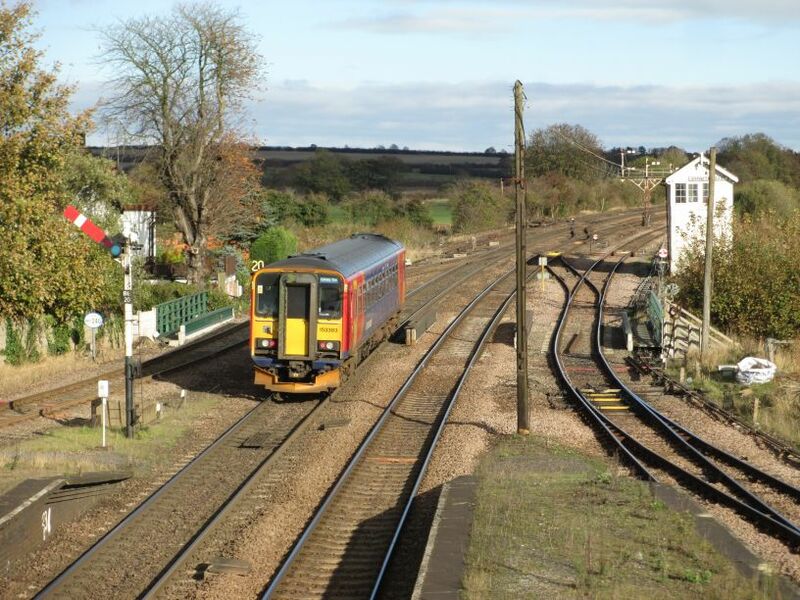 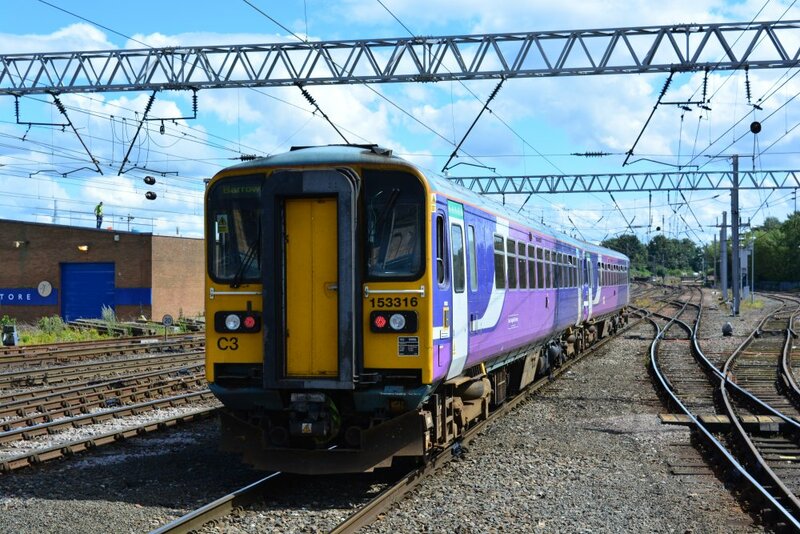 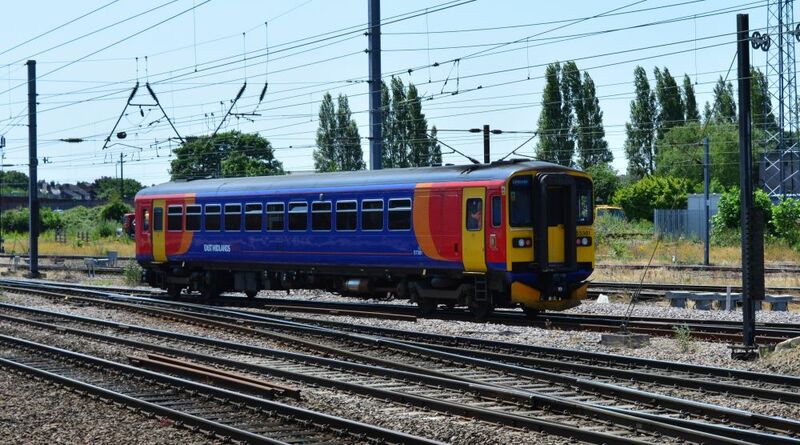 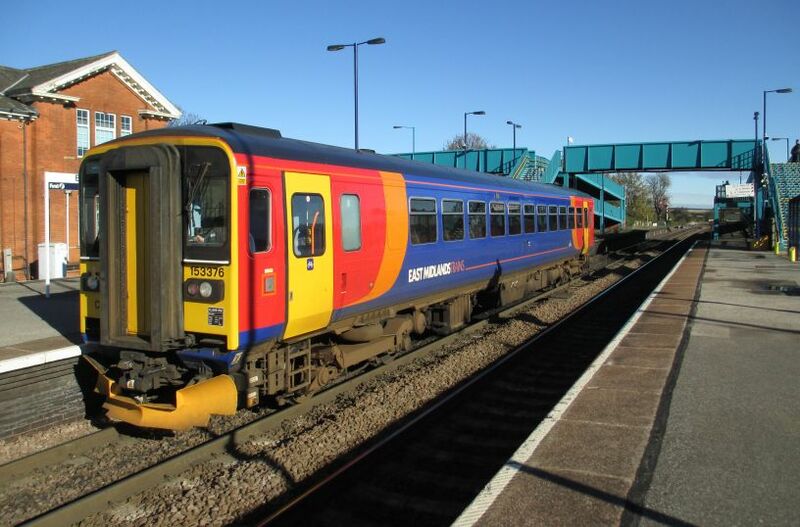 Class 153 DMU units have a maximum speed of 75 mph. 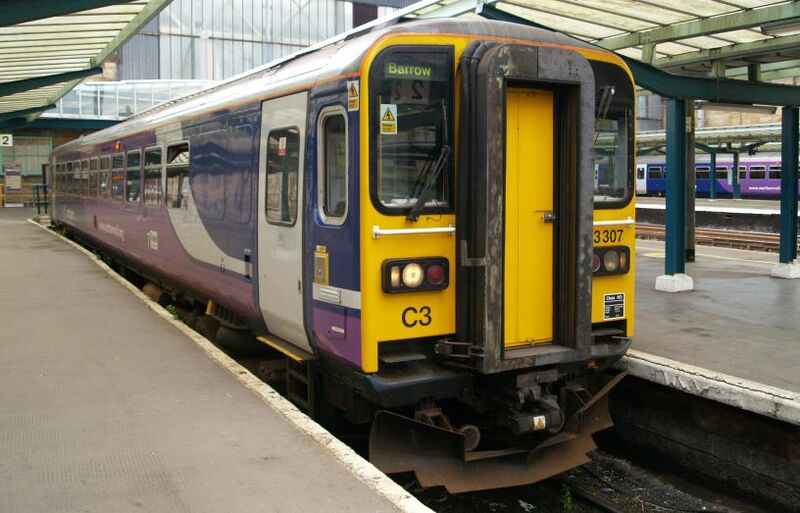 Class 153 DMUs started off as two-car units, but most were converted to single-car units in the 1990s by Hunslet-Barclay, but the 2nd driving cab is pretty cramped! 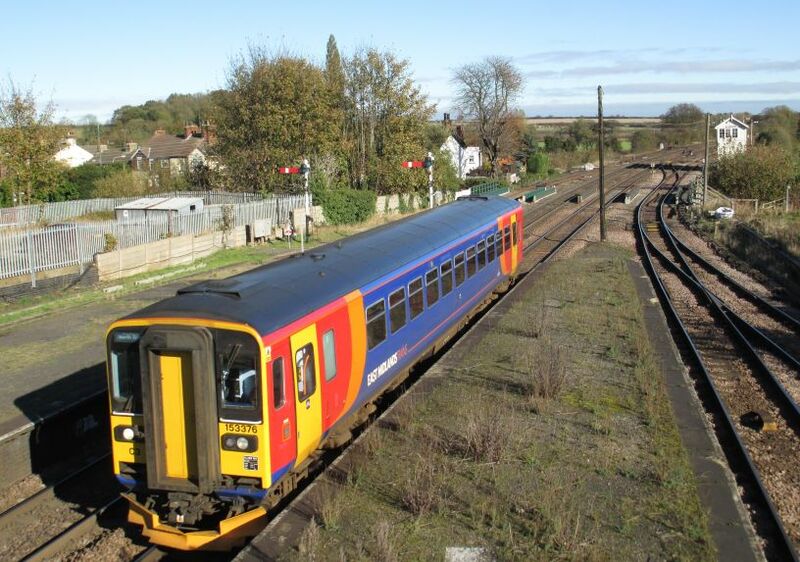 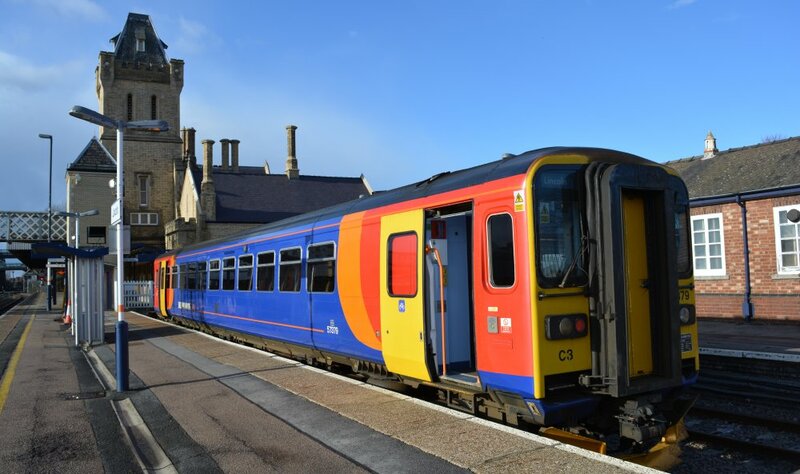 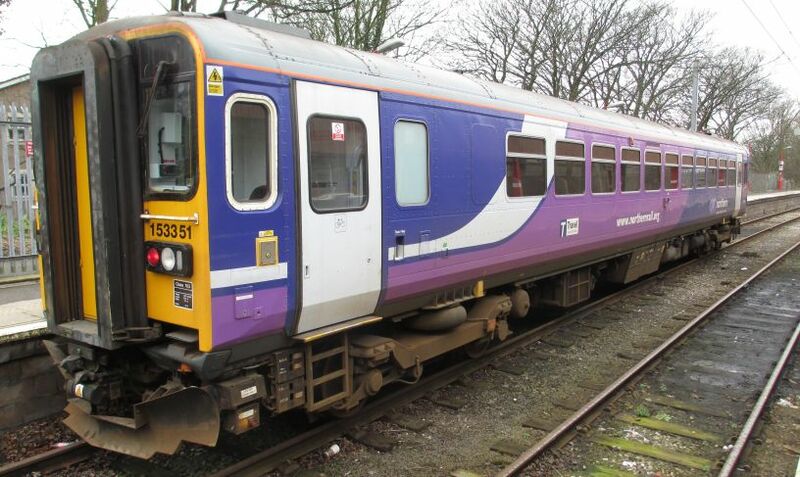 Class 153 DMUs can also operate in 3-car units. 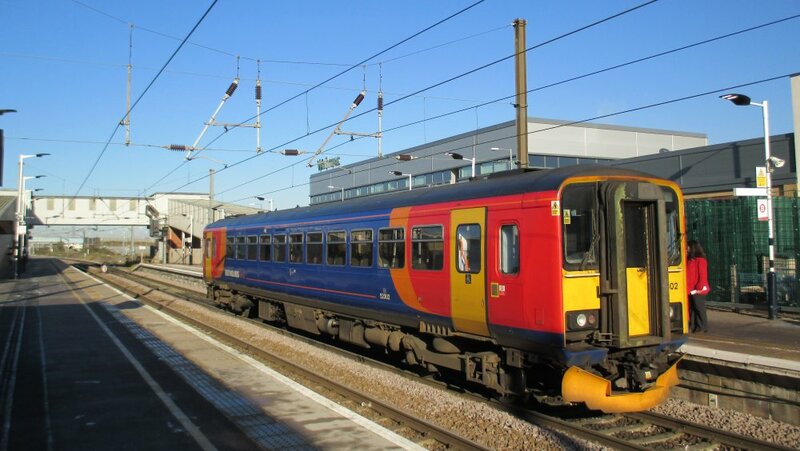 The idea was to operate the smallest possible trains on rural branch lines that couldn't justify longer passenger trains. 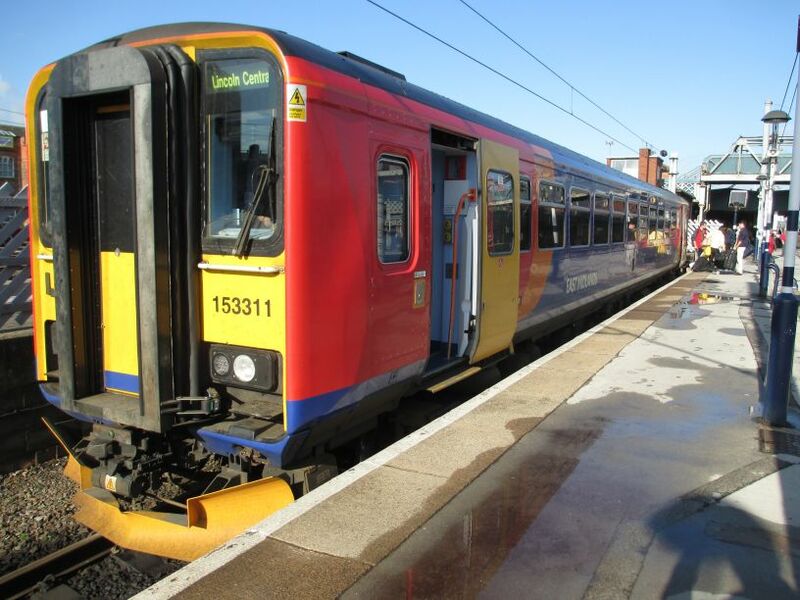 Single car Class 153 DMU 153319 at Peterborough station with an East Midlands service to Lincoln. 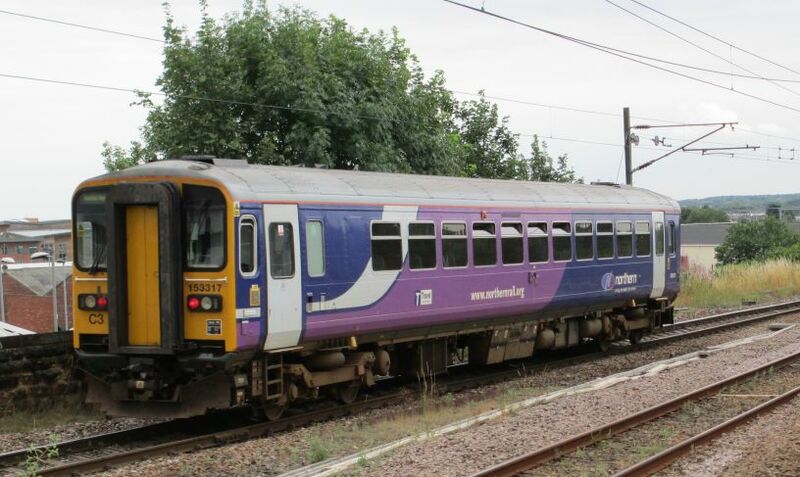 Single car Class 158 DMU 153381 leaving Doncaster with an East Midlands service to Lincoln. 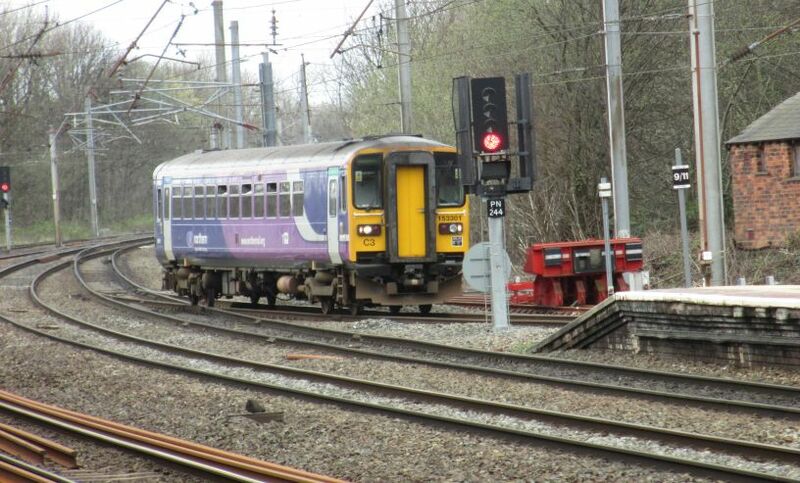 East Midlands Class 153 single-car DMU 153376 entering Barnetby Station with a train service from Cleethorpes to Newark North Gate. 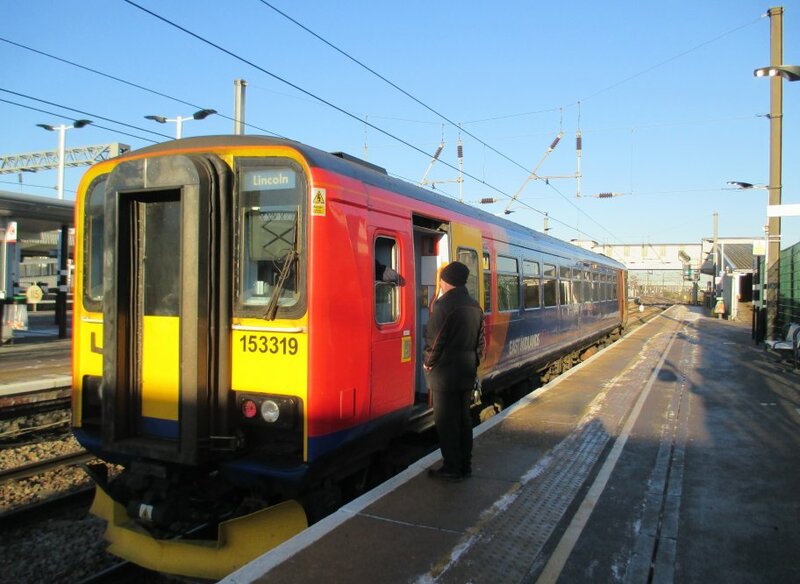 East Midlands Class 153 311 (single car DMU 153311) at Doncaster Station. 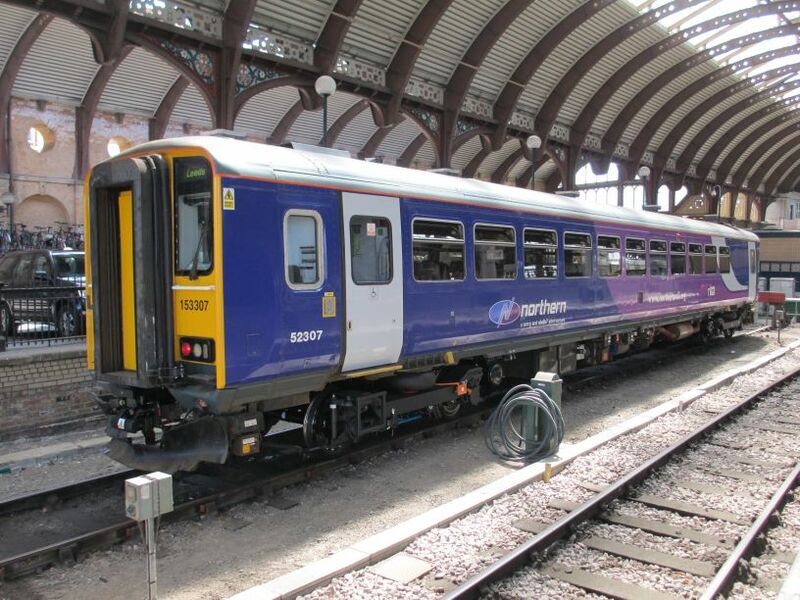 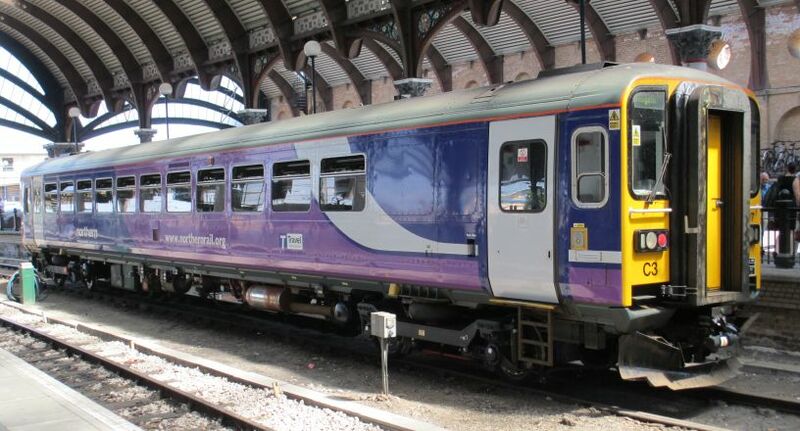 Northern Rail Class 153 Super Sprinter 307 (DMU 153307, carriage number 52307) seemed to be working as single carriage unit leaving York Station. 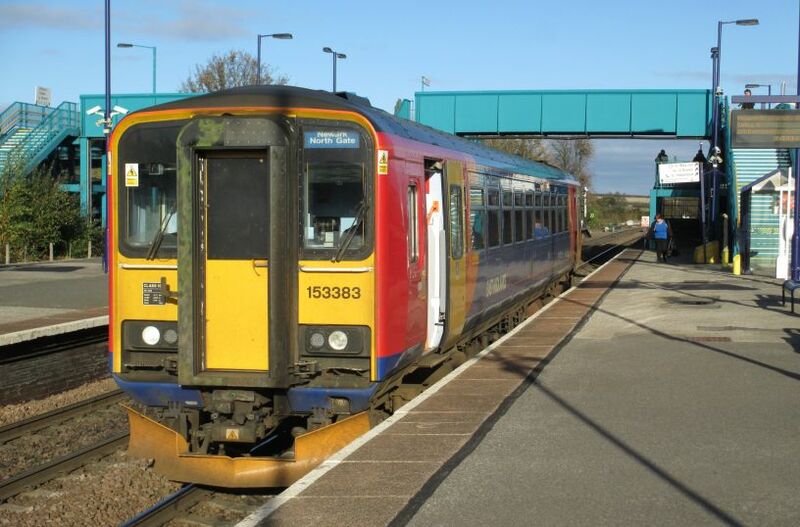 East Midlands single-car Class 153 DMU 153383 leaving Barnetby station with a Newark North Gate to Cleethorpes service. 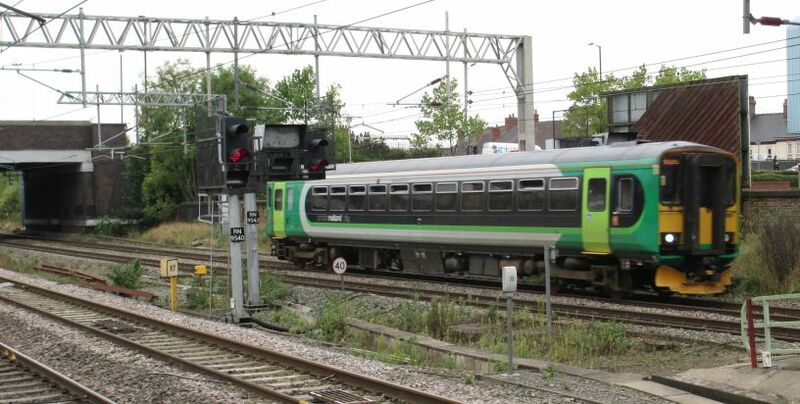 London Midland operated single car Super Sprinter Class 153 366 (DMU 153366) at Nuneaton station operating the London Midland City Nuneaton-Coventry shuttle service. 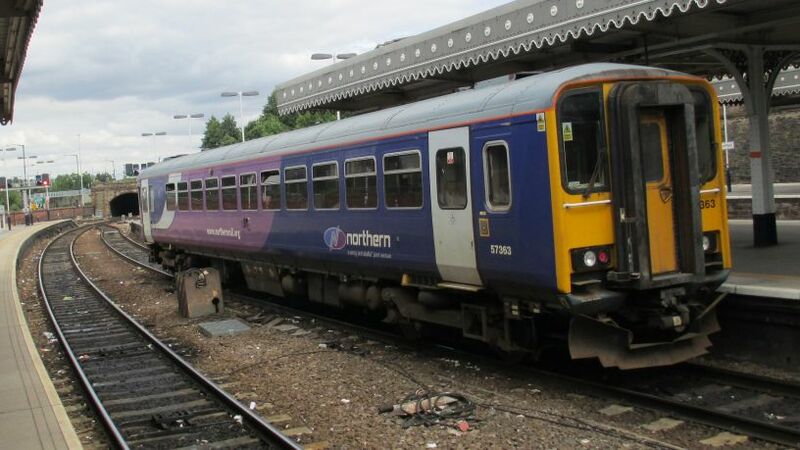 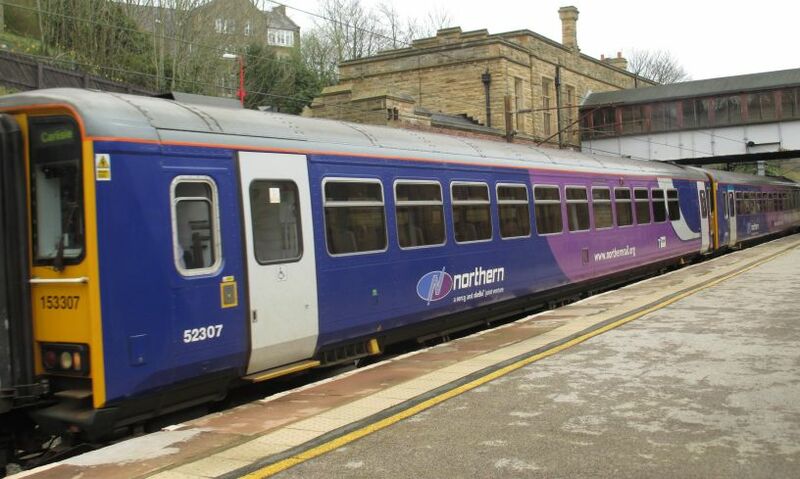 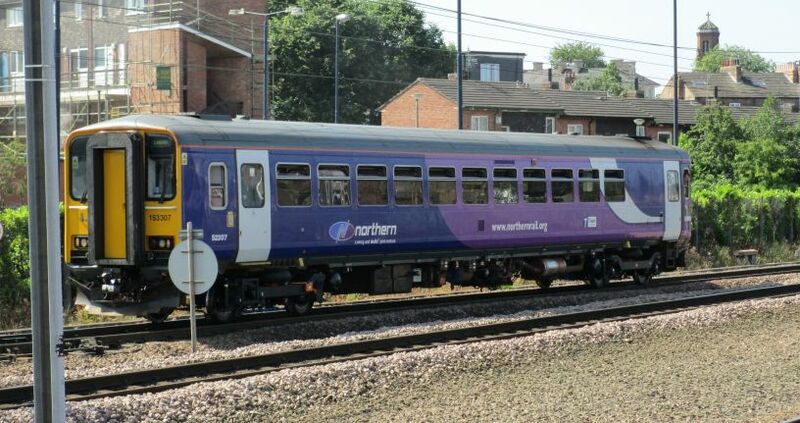 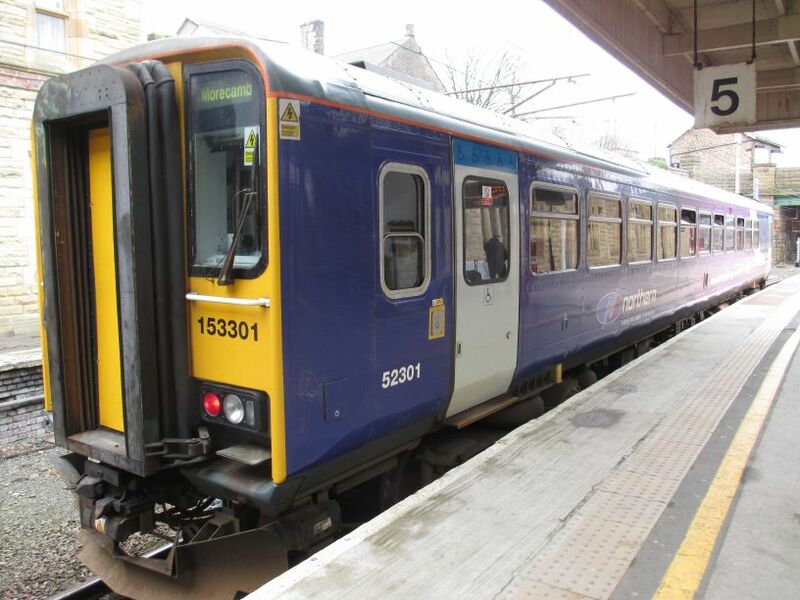 Northern Rail 3-car unit headed by Class 153 unit 153307 at Lancaster station with a service to Carlisle.